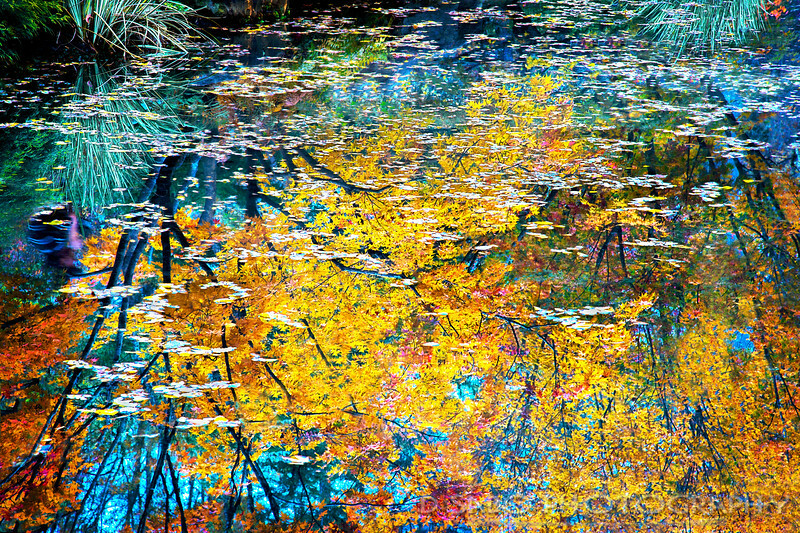 Autumn water reflections express the visual ebb and flow of nature’s inner secrets. An artist’s palette pales in comparison to nature’s own color scheme. An autumn pond’s reflection is a myriad of colors, textures, shapes, and patterns fused together to provide us with an earth’s eye view of its past, present, and future—an experience that seems too perfect for this world. I was fortunate to find this wonderful impressionistic pond reflection during my autumn 2017 excursions.